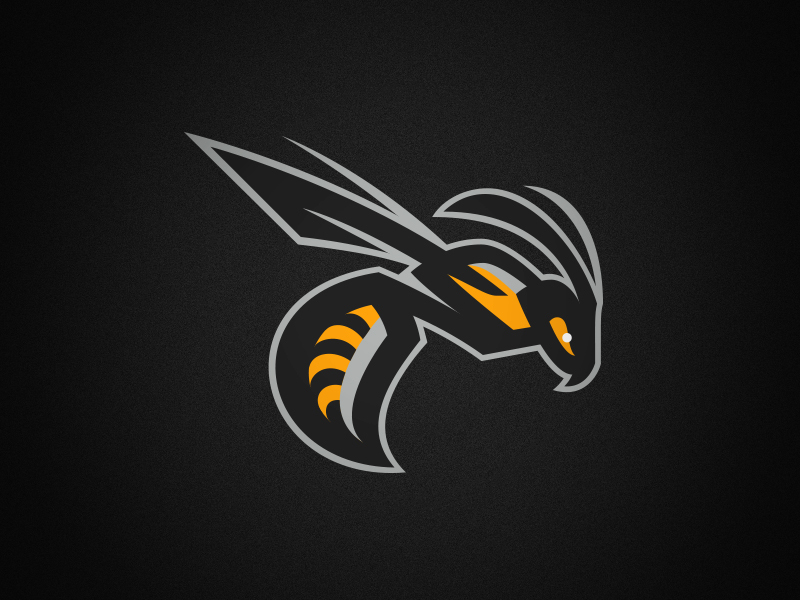 Salt Lake City Hornets — CJ Zilligen Design Studio, Inc. 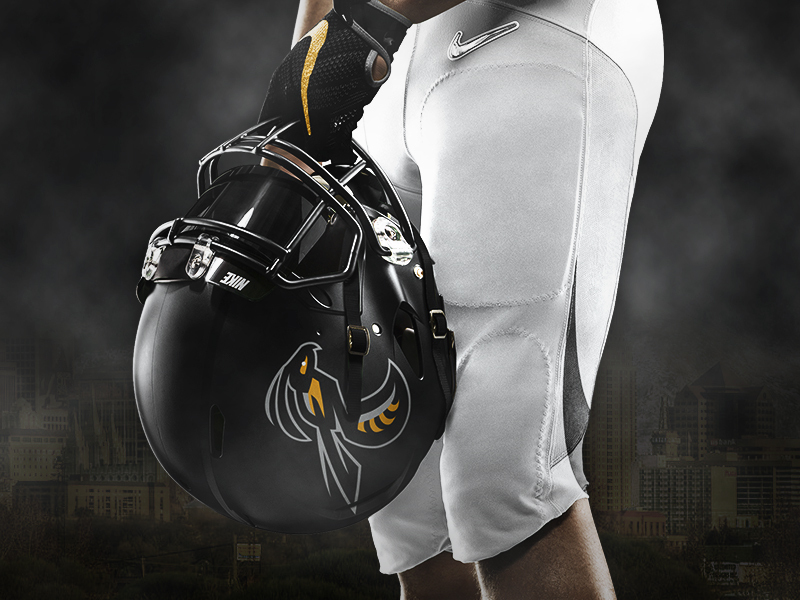 The Salt Lake City Hornets are a fictional football team that is part of the Ultimate Football League. The Hornets play in the Canyon Division of the Great West Conference. The Salt Lake City-based franchise is appropriately named the Hornets, as Utah bears the nickname as the “Beehive State”. The beehive is a focal point on the state’s coat of arms, symbolizing hard work and industry, with the “Hornets” team name being an aggressive spin on this state symbolism. Being “social wasps”, which means they build papery nests using chewed up wood fibers, hornets build their nests in trees or shrubs, or in cavities underground. Each nest has one queen that lays eggs and is tended to by her workers. Hornets are known for aggressively defending their hives with painful stings to kill prey if threatened. They have the ability to sting repeatedly, being that their stingers are not barbed and do not pull from their bodies. 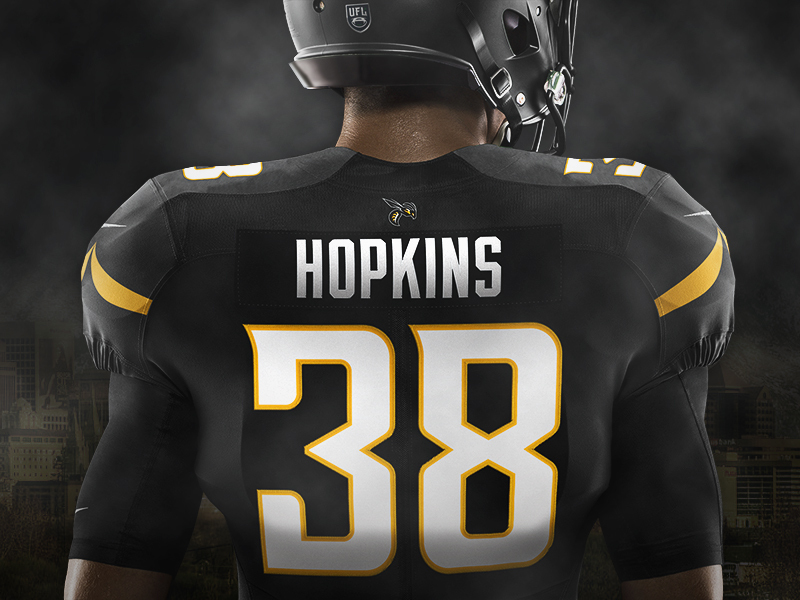 The Salt Lake City hornets sport a black-and-gold themed uniform, with instances of sharp edges in the sleeve and pants stripe to mimic the stinger of the hornet. The typeface also has visual cues that tie back into the characteristics of the hornet, with spurs and flowing lines. The secondary logo features an illustration of their stadium name, "The Hive".